Welcome to The Cheesecake Shop retail website. 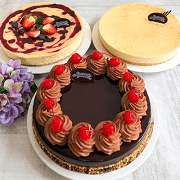 The Cheesecake shop is known for baking continental cheesecake, baked cheesecake, mudcakes, tortes, sponge cakes, pavolvas, cupcakes, macarons and desserts. 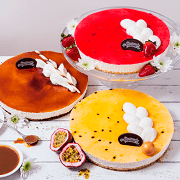 The Cheesecake Shop has a wide range of baked cheesecakes, continental cheesecakes, mud cakes, tortes, desserts, speciality cakes, savouries, kids cakes, candles, celebration cakes, wedding cakes, engagement cakes. Baked Cheesecake made in the traditional New York style. We blend natural wholesome ingredients with vanilla flavouring and a dash of love. A cold set creamy cheesecake that is much lighter than traditional baked cheesecake, but preferred by many - especially the munchkins. Mamuska's Mudcakes are a fresh bake on an old favourite. Her recipe calls for extra of everything and no one's complaining. The Cheesecake Shop is so much more than just cheesecakes. 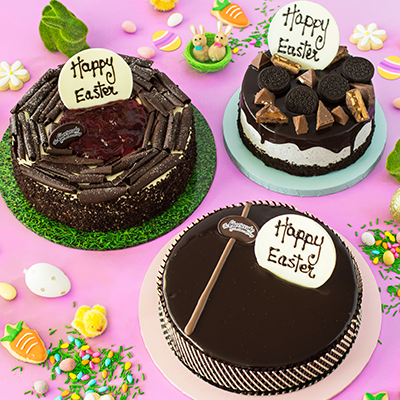 Have you tried our traditional Black Forest Torte or our classic Tiramisu? 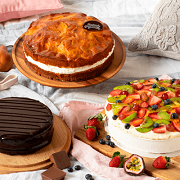 Our tortes are made with three cream filled layers of moist light sponge then dressed with ingredients such as fruit, chocolate and more. 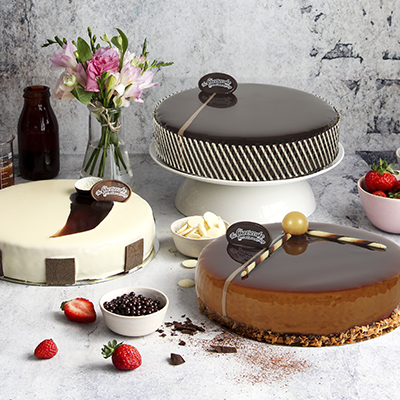 With your special day in mind, we have developed a range of cakes with stunning design, delectable taste and unbeatable value for money. 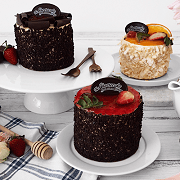 With three tier cakes starting from $99 visit your local Cheesecake Shop for more information. The Cheesecake Shop is so much more than just cheesecakes. We all know it’s an Aussie favourite and Mamuska’s recipe makes it beyond delicious with everything you love about a good Pav - tons of fresh fruit, a double dollop of fresh cream - a pav you have to have. If you like pavlova, don’t forget to sneak a look at our other Meringues. 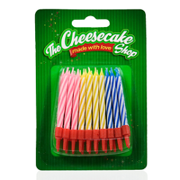 The Cheesecake Shop has a fun and fantastic range of candles and accessories to choose from. Candles are the perfect finishing touch to a kids cake, birthday cake or even a single candle on a cupcake. 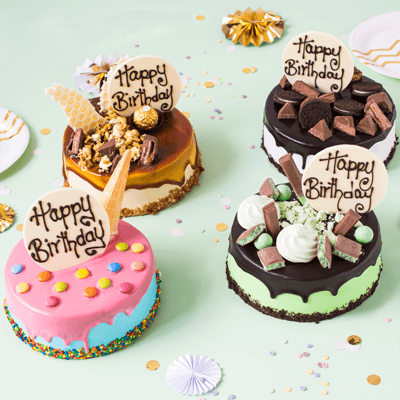 Candles can be purchased in store or with a cake online. The Cheesecake Shop has a fun and fantastic range of candles and accessories to choose from. Balloons can be purchased in store or with a cake online. 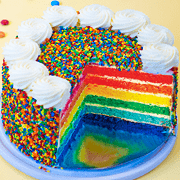 Join today and receive a $5 voucher off your next full cake! AND receive a $5 birthday voucher every year! Enquire to become franchisee today ! 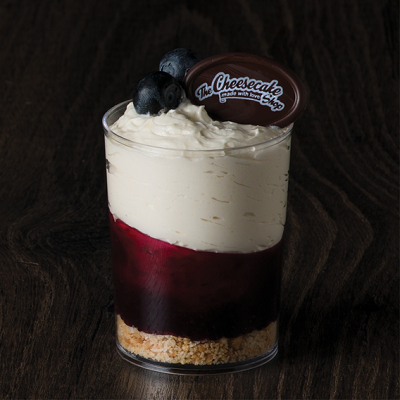 Search for a Cheesecake Shop near you. 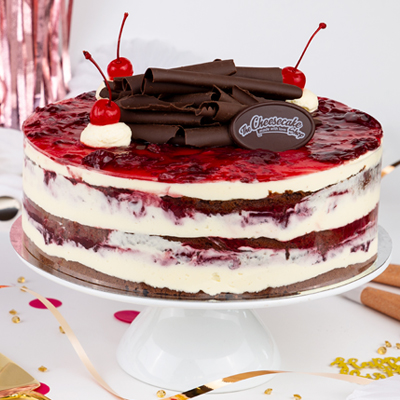 Know more about cheesecake shop.